Entering the basement at Superior Elevation just feels good: Make your way down the stairs, warmed by daylight diffused through glass bricks, as upbeat soul tunes play through the speakers. 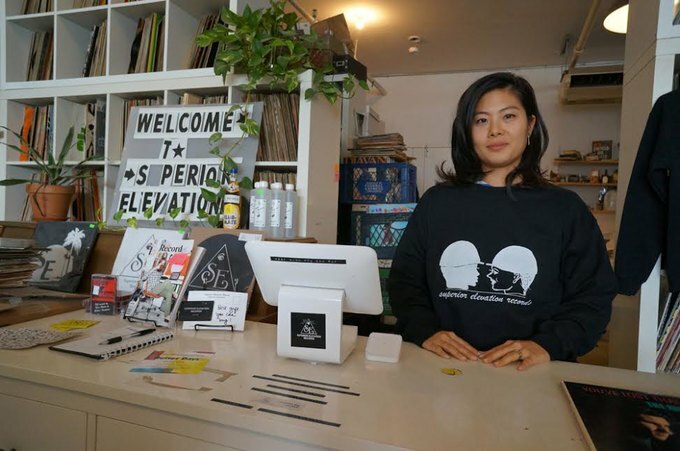 Superior Elevation Records opened as a brick and mortar business in East Williamsburg about a year and a half ago, on Record Store Day in 2015. 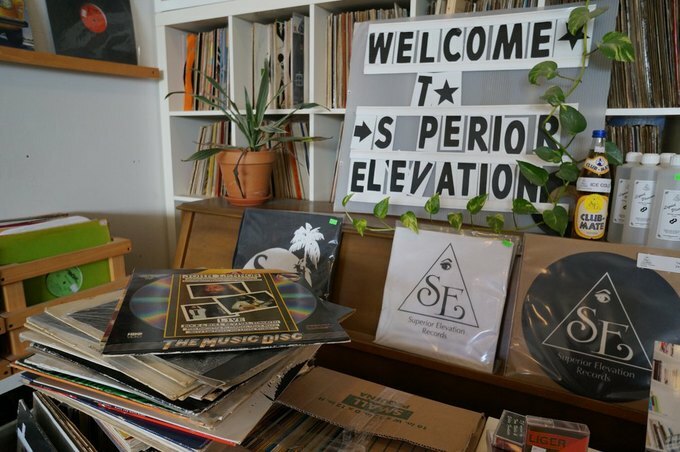 Though the well curated shop itself is fairly new, Tom and Ellen Noble, the husband and wife duo who own and operate Super Elevation, have a combined 16 years in the “record game,” as Ellen explained to a visitor on a recent sunny afternoon in the basement record shop. The Stacks at Superior Elevation. Photo by Andy Smith for Bushwick Daily. 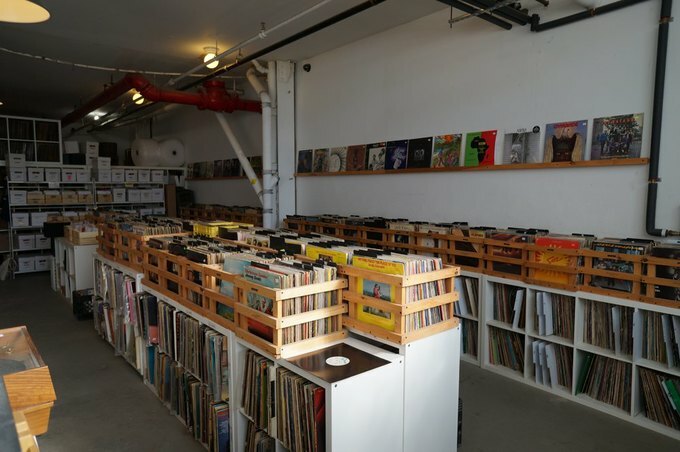 Tom Noble was once part of the team at the late, great Minneapolis record shop Lotus Land. He's also one of the subjects of a 2009 documentary about his role in the Minneapolis music scene, where he and his brothers Davey and Andy are local celebrities. Tom also runs a label, also called Superior Records, and helms a project called House of Spirits. In his free time, he’s often out finding new records, so Ellen holds down the fort at 100 White Street. Ellen Noble at Superior Elevation Records. Photo by Andy Smith for Bushwick Daily. Tom and Ellen met in Ellen's home town, Sao Paulo, Brazil. 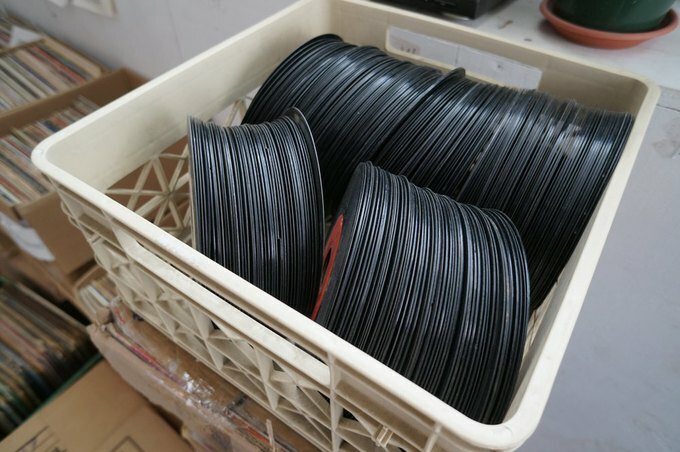 Initially, the two became business partners to source rare and excellent records from all over the world and sell them online. Opening up the shop in East Williamsburg was simply another step in that journey. Entering the basement at Superior Elevation just feels good. You make your way down the stairs warmed by the diffused daylight that shines through glass bricks as upbeat soul tunes play through the speakers. The shop is clean and well organized, but far from stuffy or pretentious. The sunny basement shop on White Street. Photo by Andy Smith for Bushwick Daily. Cruising through the racks, I found a few records I bought and added to my personal collection: You’ve Lost That Lovin’ Feelin’ by The Righteous Brothers, for $6, Shakedown Street by The Grateful Dead, for $12, and Golden Teardrops by The Flamingos, for $4. Photo by Andy Smith for Bushwick Daily. 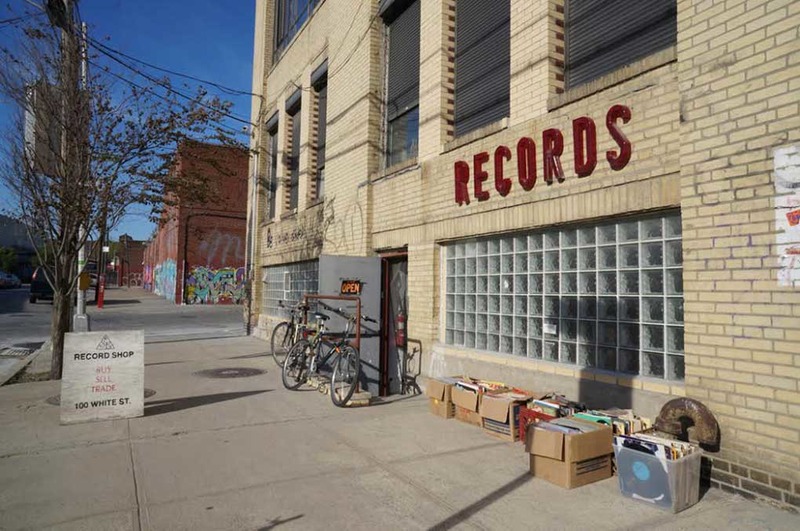 Superior Records is open every day from 12 p.m. – 7 p.m. Stop by and check it out! 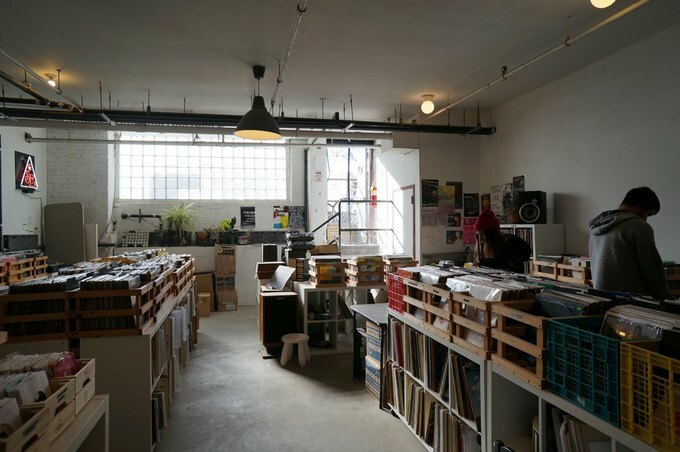 A well curated Basement record shop. 12 p.m. – 7 p.m. daily. Follow the The Unknown Bar on Facebook, Instagram and Twitter.